Luxleaks: Did Jean-Claude Juncker lie to MEPs? According to Der Spiegel, Jean-Claude Juncker knew about Luxembourg’s tax rulings as early as 1997, an accusation he denied to MEPs. La Tribune reports. 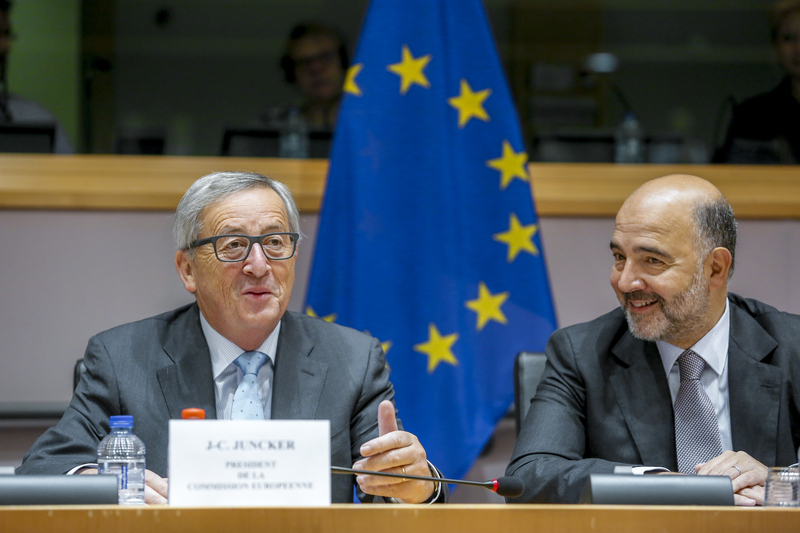 Der Spiegel claimed on Monday (28 September) that Jean-Claude Juncker knew about a page that was removed from a 1997 economic report, allegedly concerning Luxembourg’s tax rulings practices. Yet in a hearing in the European Parliament’s TAXE special committee on 17 September, Juncker told MEPs he had no such knowledge. So did Juncker lie to the European Parliament? The affair hinges on a report written by the Luxembourgish Christian Social MP Jeannot Krecké, who would later become Jean-Claude Juncker’s Minister for the Economy, between 2002 and 2012. The Krecké report on tax evasion in Luxembourg was presented to the government of the Grand Duchy in 1997, during Jean-Claude Juncker’s time as prime minister, between 1995 to 2013. But according to Jeannot Krecké, one page was missing from the published report. This page concerned tax rulings, the secret deals agreed between the government and businesses to attract them to Luxembourg with tax advantages. It was the revelation of these practices that caused the Luxleaks scandal last year. Jeannot Krecké claims there are only three “original” versions of the report. He has one. Another is held by the Luxemburgish Social Democrat Lucien Lux, and the third is in the possession of Jean-Claude Juncker. In an email to Der Spiegel, Krecké reaffirmed his version of the story. The President of the European Commission knew about the page omitted from the report. “I can confirm that in April 1997, I gave both the official version and a private version of my report to Mr. Juncker,” he wrote. But on 17 September, Juncker told the European Parliament’s TAXE special committee that he had never had the original version of the report and that he was unaware of the existence of the missing page. The content of this page is still unknown. Jeannot Krecké refuses to reveal it, and insists it should be up to Jean-Claude Juncker to do so. One thing seems certain: it was not Jean-Claude Juncker, but Jeannot Krecké who ordered the removal of the page from the published report. The aim could have been to cover up tax practices that continued up to 2010, while as early as 1997, the Grand Duchy was keen to appear to be tackling tax competition in the EU. The potential consequences of this affair are huge. If Juncker knew about the missing page, he should also have known about the tax practices of his country, which he helped to cover up as prime minister by his silence and inaction. This contradicts the Commission president’s current line of defence. As one German MEP said, Jean-Claude Juncker has “rejected all responsibility for tax administration” in Luxembourg. Several members of the parliamentary special committee have already asked for another interview with the Commission chief, Der Spiegel reported. And the nagging doubt carries over into Juncker’s current actions. On 17 September, the president stressed his determination to fight tax optimisation, an aim he had already highlighted in 1997 in his role as Luxemburgish premier. Once again, this affair further clarifies the fact that the former Prime Minister of Luxembourg is not the ideal man to lead the EU’s campaign against tax competition. His good will and his actions will always be mired in doubt. Yet this is a major issue. Without the distorting effect of tax rulings, member states’ budgets, and by extension their economic policies, would be very different. After his strange statements at a summit this summer, and his questionable attitude towards the Greek crisis, the European Commission’s first ‘elected’ head is not in the strongest of positions. This article was originally published by EURACTIV France. With 45 members and the same number of substitutes, the TAXE Committee's role is primarily to investigate the compatibility of tax rulings with the rules on state aid and tax law. The special committee will then draft a report, including recommendations on how to improve transparency and cooperation between member states to the benefit of the internal market, European companies and citizens. Commission President Jean-Claude Juncker, who was prime minister of Luxembourg from 1995-2013, has so far declined to comment. These revelations have been nicknamed 'Luxleaks'. Luxembourg has faced international criticism following the revelations. The leaks put pressure on European Commission President Jean-Claude Juncker to explain his role in the country's tax policies. Juncker has defended the country's tax practices, but is now promoting a plan for a common EU system to share tax information. Missing page? Maybe someone did it deliberately to harm Jean-Claude Juncker further !!! Maybe this isn’t the first time . The history with the wrist-watch case by Mr M.
“Secret” services in Luxembourg are a little bit special on its own. Your EU is built on lies, damn lies and EU treaties. Will you miss us when we leave your corrupt & pointless EU ? The best liar is Nigel Farage with its corrupt Atkinson Team who stole Tax payers money to make a good eveningS ! But obviously there are some ignorants criticizing others instead when it comes about money ! What would Farage do when he lose his seat in the E.U. by an Exit ? The comical party will end it’s E.U. wage ! You like to see harming the European Union and the same applies to the British Union because Scotland will divorce from England for sure ! I don’t predict because it’s the logical way ! And surely i will miss nothing about the half splitted Island ! The E.U. Zone of 19 needs all a base E.U. government and not institutions ! Or they continue all with their special implemented tax method and home made rulings harming each other . Don’t know what the parliament thinks but the main problem are the incorrigible E.U. local governments and not the commission. So the EU has a liar as it’s unelected leader, should we be shocked ? And they wonder why we are leaving their pointless EU.